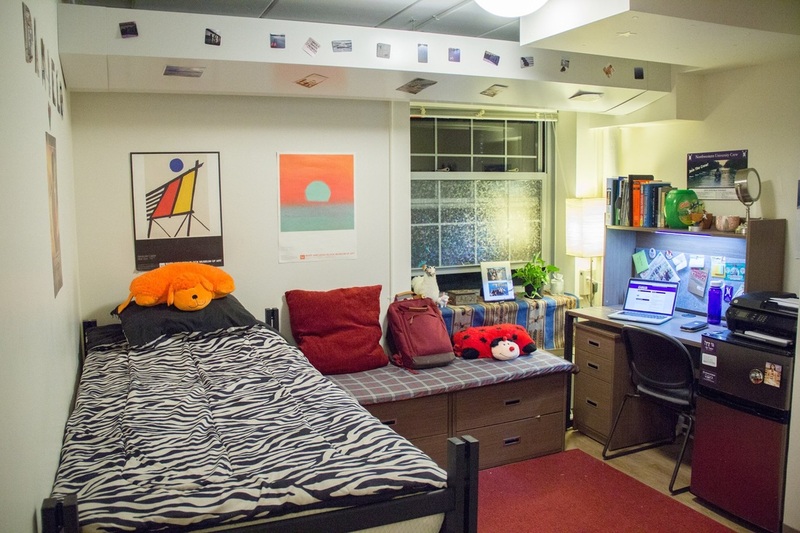 All student rooms come with a desk with an overhead lamp and a shelf, two dressers, and a drawer. All bed sizes are twin XL. Please review the floor plans for detailed room sizes. Rooms 212 and 312 do not have a built-in closet. The largest single rooms, 411 and 413, are 176 sq. ft. Rooms 209, 309, 216, and 316 are slightly smaller but have a vestibule and a bookshelf. These two rooms share a private bathroom on the first floor.